This eel was just hiding out in a cranny of the reef. Luckily he stuck his head out to see what was going on and Alan was able to capture his picture to catalog for future reference. 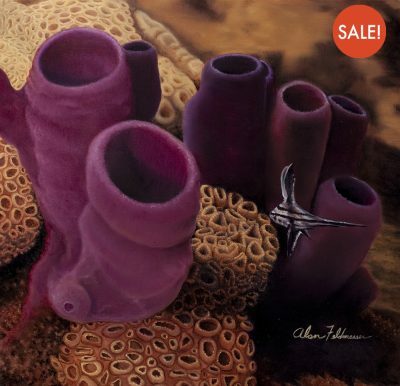 He used it for this painting and it beautifully captures the unique expression of the surprised eel, and shows how individual each creature is. This Original Oil Painting Is Available For Purchase. If you have a special moment you would like immortalized in paint on canvas, contact the artist to talk about it today. Cost is determined by size and complexity of your subject matter. To discuss pricing, contact Alan by email or call toll-free: 754-200-1278. Museum quality, gicleé prints on fine art canvas or archival paper, printed with archival inks are available as shown below. All sizes are approximate. 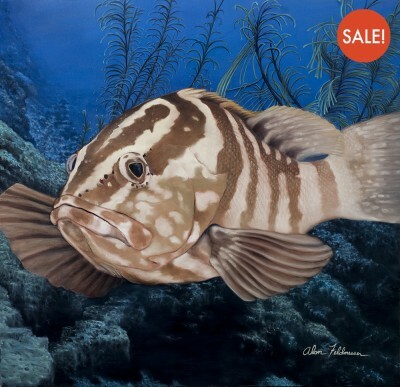 Each print is signed and numbered and produced in limited editions of 250 prints. 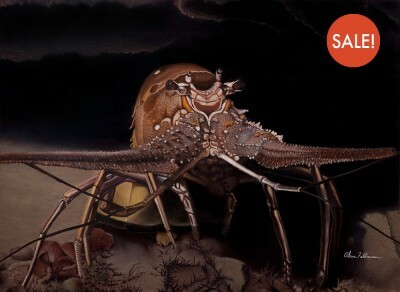 A Certificate of Authenticity is provided with all limited edition gicleés. Gallery wrapped canvas prints have the canvas wrapped around the stretcher frame and finished in a color coordinating with the print. The matted prints are open editions and do not have a Certificate of Authenticity. Sale prices will show after you make your selections. 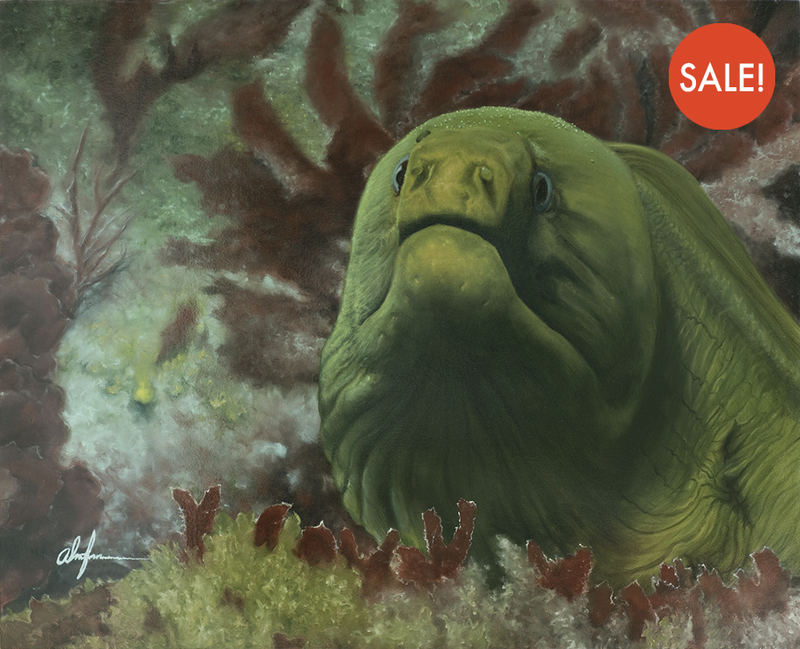 24"x30" matted, 9"x12" matted to 12"x16", 18"x24", 24"x30"
Be the first to review “Green Moray Eel” Click here to cancel reply. 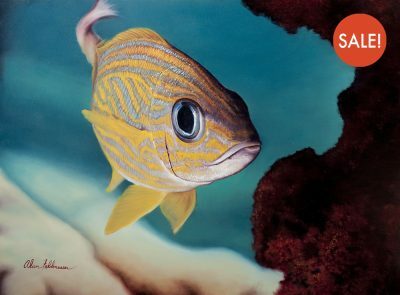 Alan Feldmesser Under the Sea, LLC © 2019. All Rights Reserved.